If you’re looking for a basic introduction to the Bates method, with a few exercises, you’ve come to the right page. I’ll warn you now. This isn’t an unbiased overview of the Bates method. I won’t pretend like I’m some robot with no biases like scientists sometimes think they can be. I’m enthusiastic about the Bates method. I want to tell you how awesome it is. If you want a boring, skeptical perspective of it, I invite you to visit Wikipedia. Maybe it’s best to get this out of the way first. Depending on how you think of “eye exercises,” we sometimes say that the Bates method isn’t about eye exercises at all. There are a couple points to make here about what this method means in terms of eye exercises. Fist, it’s true there are a number of exercises for you to perform. These are not strength training exercises. Your eye muscles are already plenty strong enough. The exercises primarily affect you mentally, which in turn affects your eyes physically. If anything gets “stronger” it’s just in terms of the visual system becoming more robust, ie: being healthier and better able to handle adverse conditions. The second point here is your vision didn’t get bad as a result of not doing eye exercises, the same way the reason you have a headache isn’t because you didn’t take enough aspirin! People with good vision don’t keep up their vision by doing eye exercises. They do it by not screwing with the way their system naturally wants to see and perceive. The good result they get is from doing the right things more often than not. When we think of doing exercises as in going to the gym, we spend maybe 30-60 minutes per day at it, or longer if we’ve got the time and energy for it. Other than gym time, we don’t have to worry about it. We’ll get the results, and it only takes that amount of time per day. It’s different when you’re retraining your visual system. Your practice time is meant to prepare you for the rest of the day. It’ to give you something to carry over and do all day long. Your results aren’t determined by what you spend 30 minutes at, but what you do all day long. The methods comprising what we now call the Bates method were conceived by Dr. William H. Bates, a New York ophthalmologist who spent the second half of his life developing and treating patients with it until his death in 1931. 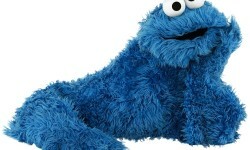 I won’t go into too much detail about him here. See the article Dr. William H. Bates: Founder of the Bates Method, and also the Timeline of William Horatio Bates. 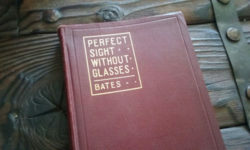 The original Bates method is basically found in Bates’s book Perfect Sight Without Glasses and his Better Eyesight magazines he self-published from 1919 to 1931. This website years ago was inspired into creation entirely by the Bates method, and to a large extent it’s still about the Bates method, or at least the underlying philosophy, principles or approach. Bates’s book, magazines and articles are extremely interesting and valuable. He was a pioneer. He was exploring phenomena that other eye doctors ignored then and still ignore to this day. I would not have improved my vision if he didn’t share his methods and pave the way for people after him to flesh out the concepts and explore new ones. There’s something about how we sometimes like to refer people to original, unadulterated wisdom, produced before other people came along and screwed it up. Some people feel that way about the Bates method. Every description of the Bates method includes palming, maybe because it’s easy to show and easy to understand. It’s a way of resting your visual system and calming your mind. Much of visual dysfunction is caused by the way you handle mental stress or the way you carry around a constant state of anxiety that eventually feels so “normal” to you that you aren’t aware of it. Luckily, I already have a thorough explanation of palming here. Also see the Palming chapter from Bates’s book and Nancy’s article In Praise of Palming. Bates gave a few methods to instigate better movement of the eyes. People who wear glasses tend to freeze their eyes in place, partly as an adaptation to looking through the glasses, but even people with blurry vision who choose to avoid glasses most of the time have reduced microsaccadic eye movement. See Chapter 15: Shifting and Swinging from Bates’s book. The retina (light receptors) of the eye is structured such that only the very center of the visual field is seen with maximum resolution. When the visual system uses this central vision correctly, Bates called it central fixation. What he found was that people with blurry vision suppress their central vision to some degree. See Chapter 11: Central Fixation in his book. The central vision therefore has to be reawakened. The exercises have you direct your attention to one point of an object and notice that you see another point worse that you aren’t looking directly at. At first you have to do this with points that are a large distance apart for you to recognize this fact, but as you practice further it will become apparent to you that even a point right next to the point regarded isn’t as clear until you look directly at that point in turn. The most unappreciated aspect of the Bates method is how bad vision is mostly in your mind. There is a physical component in myopia and most other disorders, but this physical component is the effect, not the cause. When we unfocus a camera lens, the blurry picture produced is quite uniform in its blurriness and the way it turns black into grey. The blurry vision we experience, however, is much different. Some parts are more blurry, or appear more black, or lines at certain angles appear different, or there are multiple overlapping images, or we perceive patterns of white, black or colored blobs. With all these differences, this distorted picture is always changing, moment to moment, whether the focus of the eye changes or not. These distortions are a result of the mental processing the mind performs and not directly to do with the focus of the eyes. The mental work in this regard is shown to be quite flexible. On the other hand, good vision is full of its own illusions that are not a problem but are a helpful part of good vision. A person with good vision will look around and perceive the world as all equally clear, even though his retina only receives the most But if someone with normal vision pays attention to a small area he can note that the very center of vision appears sharper and even one degree outside of it appears less distinct. Black letters on a white page look as if they are surrounded by a super-white halo. If you see an object as blurry and you close your eyes and imagine you see the object perfectly clearly, considering for a few minutes what it should look like, you will find that when you open your eyes you have demonstrated immediate improvement in the way the object actually does look. Bates found that the calmer your mind is, the more engaged you are, and the more confidence you have in your visual ability, the better the mental part of your vision will work. The better it works, the more relaxed your eyes will be, and the better they will physically work. The whole visual system improves as a unit. For further details see Bates’s book, Chapter 14: Imagination and Vision, Chapter 29: Mind and Vision, and Chapter 16: The Illusions of Imperfect and Normal Sight. These exercises overlap or are used together, because they all represent different aspects of good visual functioning. You can’t separate out each piece in practice, but you can emphasize certain aspects during your practice. Too often people read Bates’s book and magazines and come away uncertain as to what to do. Or they study it, practice everything he suggested, and they see some results, but it isn’t enough. Society has changed since his day. It’s important for us to use modern language terms and ideas to minimize misunderstandings with the subtleties of the approach. We also have an explosion of health problems like diabetes and computer vision syndrome that didn’t exist back then, not to mention an explosion in the rates of myopia in the US and several highly industrialized Asian countries. On a more positive note, we have another century’s worth of fantastic research in eyesight, psychology and science to draw from. The last fifty years have been so productive for this. Keep in mind, I’m really into alternative approaches to health outside mainstream medicine for chronic conditions, because of its failings in that area. But I think it’s also silly to ignore mainstream science’s valuable contributions to understanding vision. There’s so much good stuff that we can incorporate into a vision improvement program that makes perfect sense. With their help, we understand better now how things work. You just can’t compare that to what Dr. Bates had access to, which was practically nothing, when he was trying to understand what he observed. Does that mess up the Bates method? Sure, in a way. And I don’t think it’s a problem. I think anything good deserves to have our hands in it, mucking it up, greying the borders between the Bates method and other approaches, with the goal of improving or refreshing it to apply to modern times and the difficulties we face. Hundreds of people worldwide are now teaching the Bates method professionally. Most of the teachers are not eye doctors, so depending the local laws it’s taught in an education capacity or as an alternative medicine practice. They have either learned the method on their own, through books, internet videos and experience practicing it themselves, and/or they were trained by other Bates method teachers who offer teacher training or certification. Certification has no legal meaning for it and is just a way to show they were trained. Modern teachers of natural vision improvement incorporate not only the Bates method, but modern systems such as optometric vision therapy, Emotional Freedom Techniques, clinical psychology, nutrition, meditation, and other natural techniques, depending on the background and experience of each teacher. Many books you’ll find on Amazon don’t mention the Bates method in the title or description, and maybe only in passing in the text itself but are to a large extent based on the Bates method. So I hope that gives you an idea of what the Bates method is all about. And even more, I hope it sounds like it makes sense and has potential to help you reverse your vision problems, what ever they may be. It’s good to know that eye issues are prevented by doing the right things more often than not. It’s important to understand how eye exercises can help us have healthier eyes. We may take it for granted, but it’s important that we do our part in making sure our eyes are functioning properly. It may be wise to consult with a optician who can give us advice for how to take care of our eyes, based on our current health.